Next generation database systems are characterised by autonomy and self-organization. This leads to an architecture where a DBMS is considered a large number of 'cells' willing to accept information through 'receptors', to store objects for later use, and to continously answer queries through 'emitter'. Once a cell becomes full, it automatically clones itself, occupying slack space (on another computer) without disturbing the perception of the database user. The challenge is to build the first such system using a distributed collection of Java programs with adequate Web-based facilities for interaction tracking. A short description can be found here . We invite students to join the research group for a few months of intensive, challenging work on the following the MonetDB project. He started his career in computer science as research assistant in 1975. As of 1979 he was scientific researcher and lecturer at the Vrije Universiteit, Amsterdam. Until 1985 he worked on database security, database programming languages and he developed a relational DBMS, which became a component of a commercial CASE environment from 1985-1991. He was visiting researcher at the University of California, San Francisco, in 1980 and 1983. He moved to CWI in 1985 to established the Database Research Group. Between 1986 and 1990 he was co-designer of the PRISMA database machine, a RDBMS for a 100-node multiprocessor. In a follow up ESPRIT-II he was responsible for the development of an enhanced version of SQL to cater with documents and geographical data. From 1989-1993 he led a national project on the exploitation of the Amoeba distributed system for advanced database management and a national project on database design formalizations. As of April 1992 he is head of the department of Information Systems. At the same time he started the ESPRIT-III Pythagoras project aimed at performance quality assessment of advanced database systems. 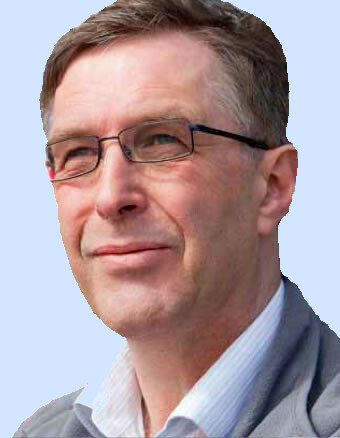 He remained associate professor at the Vrije Universiteit teaching advanced courses on database technology until mid 1994. Since 1992 he is also associate professor at the University of Amsterdam and became a full professor in multimedia databases as of jan 1994. Currently he is head of department involving 55 researchers in areas covering datamining and datawarehousing, multimedia information systems, visualization, quantum computing and advanced sytems research. He is a co-founder of Data Distilleries sold to SPSS in 2003. He has published ca. 140 scientific papers. He is an active reviewer for ESPRIT projects and scientific publications. Moreover, he is a trustee of the VLDB Endowment board, which is responsible for the development of database research worldwide. A more detailed vitae description can be downloaded here .